Create a gift finder for the brand Jo Malone using Amazon Alexa voice assistant. In voice interfaces the key is the dialogue. Tone and terms have to be very close to the brand you'll develop the skill for. Moodboards and Personas help to dive into the classiness of a British brand like Jo Malone. 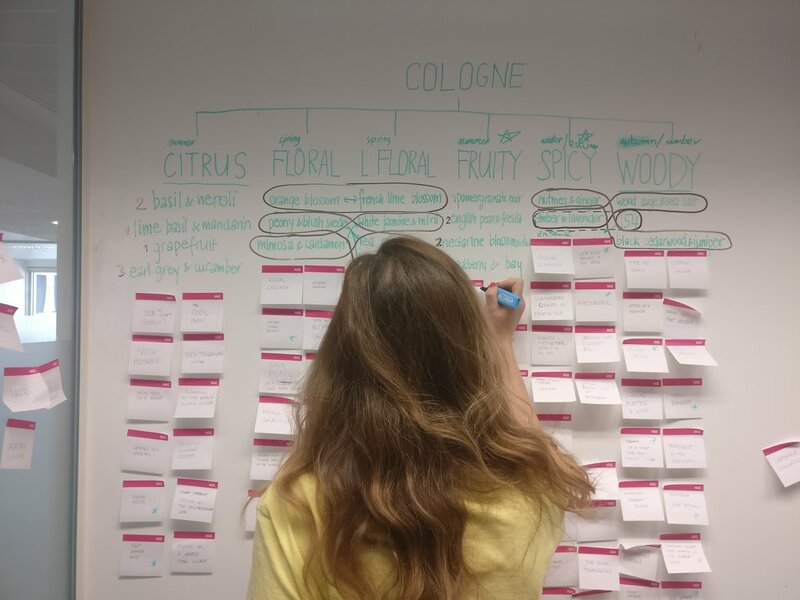 Every fragrance was taken as suggestion generator to create three simple questions that helps the user choose the right fragrance for their significant other. "Alexa, ask Jo Malone to find me a gift"